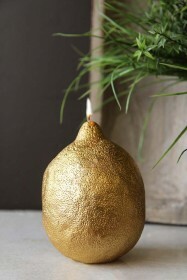 Create a fruit bowl with a difference with our range of gold fruit shaped candles. 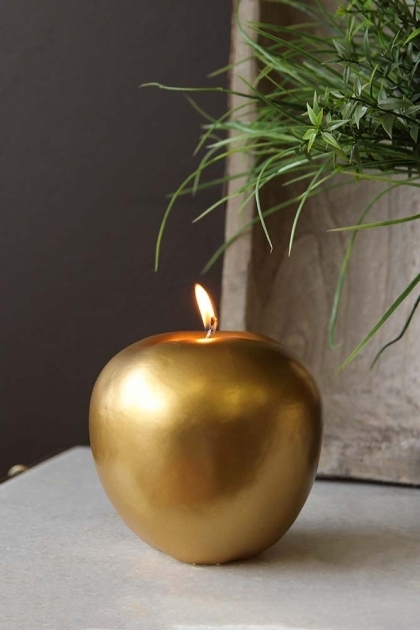 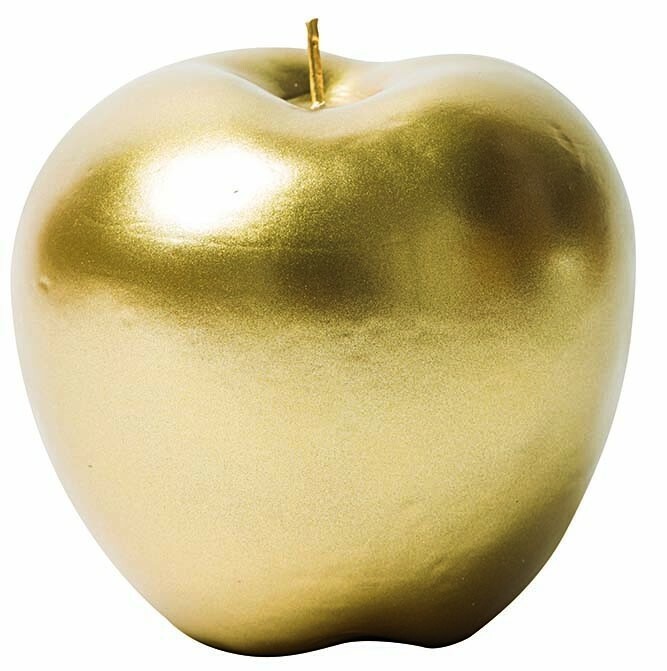 This Fabulous Gold Apple Candle is a great size and will look fabulous displayed in the centre of a table, on the site or for decoration in amongst a fruit bowl. 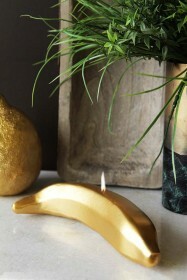 Light the wick and enjoy the sensual glow of the flame reflecting off the gold colouring of the body for a really fruity, yet calming effect.